Tag Archive | "The Hobbit"
Another day, another picture from Peter Jackson’s The Hobbit: An Unexpected Journey. Stop salivating and click the jump. TIME is the lucky beneficiary of exclusive photos today, as it seems Warner Brothers is slowly distributing exclusive photos to all the major news sources one day at a time. I believe that is a very shrewd approach to drumming up interest in the project. Peter Jackson is once again opening his world of film making up to his fans with his first of what promises to be many video blogs. He has done this in the past and it’s has worked great in creating a real bond with the fans of his work. Check out the video and enjoy the detail that goes into making his epic movies come to life. TheOneRing got an exclusive set of photos that show off production tests on a barrel riding scene from The Hobbit movie. These photos show off production testing a scene for the barrel scenes for The Hobbit movie. Just sending you a few pics of the activity going on at the Aratiatia Rapids where they have started filming for the barrell scenes in The Hobbit, they had heaps of safety people there as pretty dangerous stuff, mostly all wound up when I took the pics, but shows the barrels they were using for when the Bilbo Baggins and the dwarves, rode the rapids in barrels to get away from the orcs I think it was. the barrels are pink so as to allow for them being digitalized apparently. the hyab truck was in place to maybe film up the rapids, anyway, they used both ends of the rapids to do the job, as you will see. there are big barrels on the truck, plus a small one, I guess for scaling for Hobbit size?? A couple of pics also of the crew, both safty and filming by the looks of it having smoko. Brand new set photos for the upcoming two parter film, The Hobbit, have been released. New behind the scenes set photos for The Hobbit just came in from New Zealand. The entire crew at hard work in Miramar where they are currently building landscapes for the film. It would appear they are working on Moria and the Lonely Mountain in these photos, check them out below! Peter Jackson Filming The Hobbit Entirely In 3D! With all the back and forth going on with this movie, things are starting to get grounded. Looks like the uphill climb to get the Hobbit movies filmed is one step closer to being over. New Zealand Prime Minister John Key announced that both “The Hobbit” films are keeping their productions in New Zealand. Plagued with labor disputes, media fights, bankruptcy, and considerations of moving the production to Europe or other locations, the announcement essentially brings to a close a media whirlwind that has been making headlines for several weeks now. It also means the production is still on track for its planned start in February 2011 with the two films released on December 2012 and December 2013. Great news! And now we can look forward to the familiar surroundings we saw in all Lord of the Rings films now that production is back in New Zealand. A few months back the website bleedingcool received a scoop that actor Sylvester McCoy, mostly known for his starring role as the doctor in Doctor Who, was cast in then director Guillermo Del Toro’s Hobbit movies, the prequel to popular film trilogy “The Lord Of The Rings. Then trouble in many forms hit the movie as well as Del Toro’s departure from what many believed to be a doomed project. Now with Peter Jackson on board and still a lot of trouble the great news of casting announcement has come our way. Bleedingcool was happy to report that their scoop was indeed true. At the Armageddon Expo in Auckland, New Zealand the actor confirmed he is indeed cast in the (hopefully) upcoming Hobbit films. McCoy will be portraying Radagast The Brown. The site is also reporting a rumor that popular Doctor Who actor, David Tennant may have also scored a role in the film. This rumor goes unconfirmed as of now, link below. 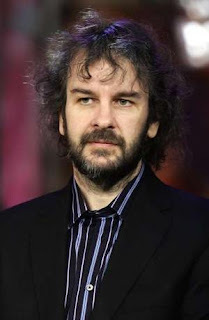 Deadline is reporting that Peter Jackson has begun to decide on the actors he’s interested in for The Hobbit. 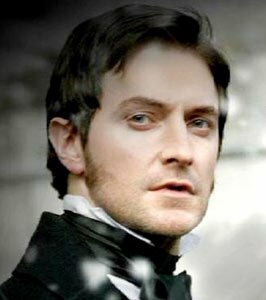 Richard Armitage from MI-5 and Captain America: The First Avenger will play Thorin Oakenshield, leader of the dwarves who join Bilbo. “Despite the various rumours and speculation surround this role, there has only ever been one Bilbo Baggins for us,” Peter Jackson said. “There are a few times in your career when you come across an actor who you know was born to play a role, but that was the case as soon as I met Martin. He is intelligent, funny, surprising and brave — exactly like Bilbo and I feel incredibly proud to be able to announce that he is our Hobbit. It seems even more trouble is afoot for the Hobbit movies. Now it appears its being forced to move filming locations. Jackson was also quoted as saying he would have loved to stay in New Zealand, but the studio made the final decision to move locations. These movies just cant seem to get on the right track. And to think we got are hopes up after a green light from the studio and a potential release date. Hopefully this movie gets back on track soon because the fans,myself included, are going nuts in anticipation. Tags: J.R.R. Tolken, MGM, New Zealand, Peter Jackson, The Hobbit, the noob news, Warner Bros. The Hobbit has officially been greenlit and has a start date. After so long, and such back and forth, The Hobbit has finally gotten a greenlight, a director(Peter Jackson), and now an official start date. According to TheWrap.com. They report that the Lord of the Rings prequel project will begin production in February, as per “an individual close to the” films. “In the final agreement this week, Jackson’s deal was finalized and MGM and Warner Bros. agreed to give the project its greenlight,” says the site. Sets have already been built in New Zealand and actors have been on hold for months.